Gunung Raya is the highest peak in Langkawi at over 800 metres above sea level. Browse places to stay in Langkawi on Booking.com. Book Now - Pay Only When You Stay. Thickly forested and dense with tropical overgrowths make it excellent for guided jungle trekking and bird watching. 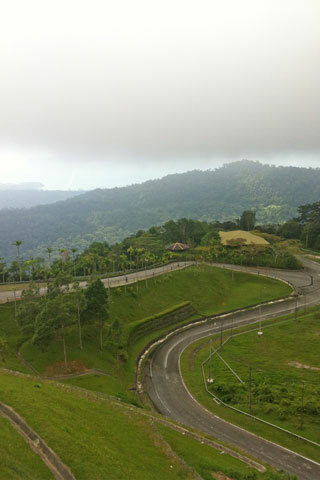 A drivable paved road leads up to the peak where a MEASAT Satellite Control Centre is stationed as well as The Peak Resort and Spa. Once to the top of Gunung Raya spectacular views of the surrounding rainforest await for your viewing pleasure. Keep an eye out for hornbills. The usually quiet road to the top does get traffic, so if stopping to stare awestruck at nature watch out for those occasional speeding motorists.